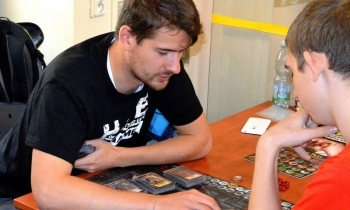 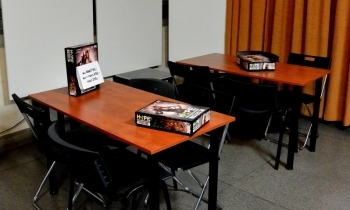 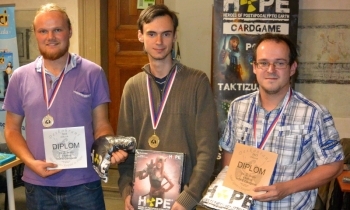 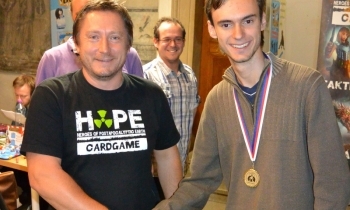 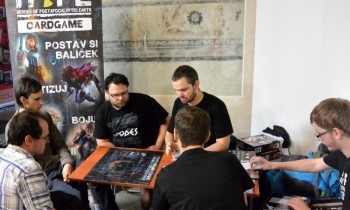 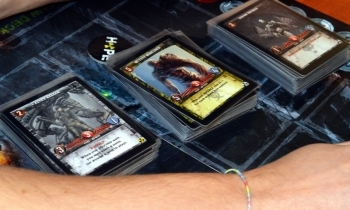 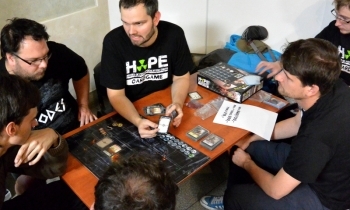 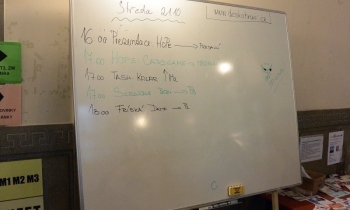 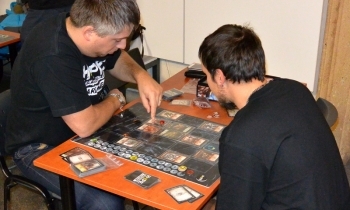 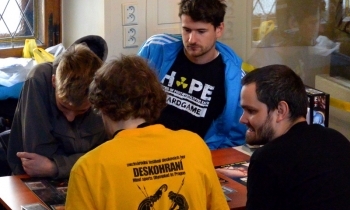 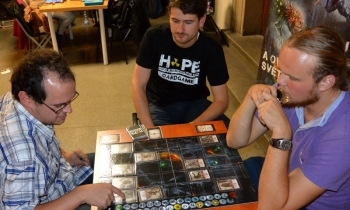 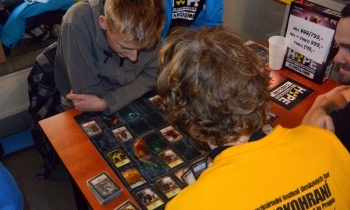 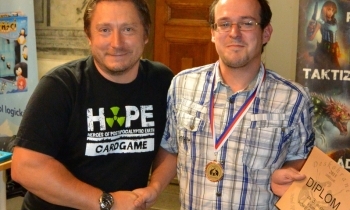 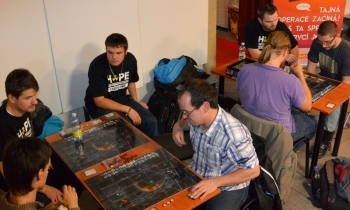 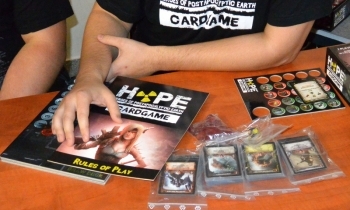 The main price was a game HOPE Cardgame that complement t-shirts featuring games, discount vouchers and medals and diplomas! 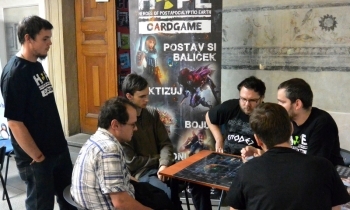 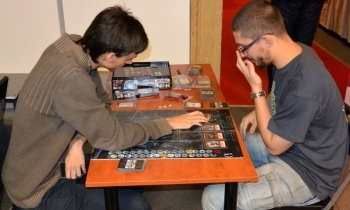 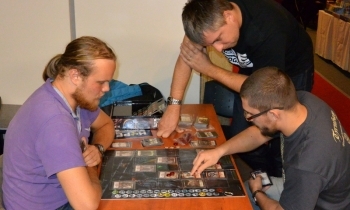 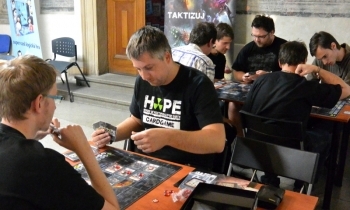 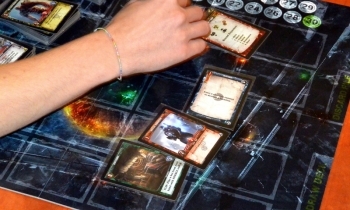 Michal Suchanek (author of HOPE Cardgame) is playing with Ezequiel Tosi from Argentina. 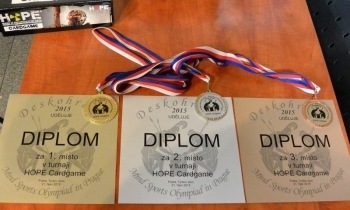 And the winner is? 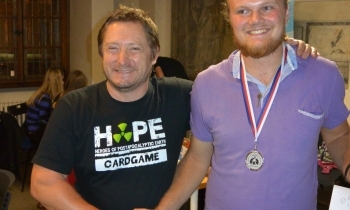 Michal Svoboda! 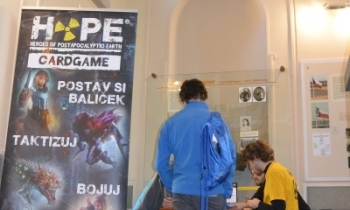 Our stand is always full. 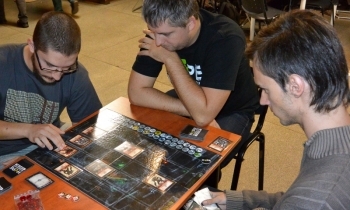 We are approaching the final battle.